I am back from my summer break. Today, I comment on the Liberal tax proposals put forth in July, in respect of the taxation of private corporations. I have a feeling I may be writing on this topic several times this year. this report by BDO Canada is very good. I can tell your first hand that there is a lot of anger among business owners for what they consider a totally misguided government notion that business owners should be treated in exactly the same manner for tax purposes as their employees who take none of the business and financial risks and the implication private business owners are abusing the tax system. Opposition has been growing throughout the summer and there is a mounting backlash from professionals and small business owners against these proposals. Based on email responses I have been CC'ed on, local MPs are taking this issue seriously. Whether this pressure will cause Prime Mister Justin Trudeau and/or Minister of Finance Bill Morneau to change their stance on this issue remains to be seen. Whether you philosophically believe these proposals are fair (and based on feedback both publicly and to my email inbox, most of my readers think they are not fair), these rules will create a very negative climate. 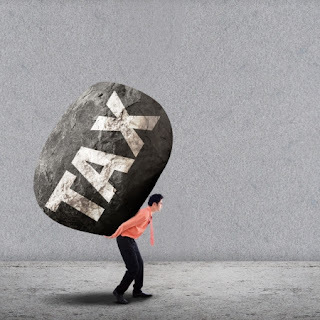 Just as importantly, there is currently tax paralysis, as advisors are not sure what the rules are and will be and thus, they cannot properly assist their clients. One way or another, a clear path needs to be set as soon as possible. I could provide a laundry list of reasons why I feel these proposals unfairly target small business owners and professionals, but that is not my objective for this post. What I want to discuss is the feedback I have received from those affected by the proposals, other accountants, and employees who may not feel as aggrieved. When people speak frankly about this proposal, there is generally unanimous consent that the proposals for the conversion of income into capital gains are “fair”. I don’t think that if this proposal was released in a typical budget that it would cause much consternation. There is concern however; that the government has to distinguish between aggressive tax planning and tax planning that avoids double tax (such as pipeline planning upon death). When discussing this topic, most business owners and professionals feel these proposals are punitive and generally unfair save one provision (the capital gains exemption – which I discuss below). These proposals in general will prevent family income splitting (as the income will be taxed at the highest marginal tax rate) unless there is reasonable compensation and the compensation is based on labour and capital contributed. Where I have discussed these proposals with people that are employees, in general they feel the proposals are unfair to restrict income splitting with spouses, but they tend to agree with the government that income splitting with children should be eliminated. Business owners feel the income splitting rules are unfair is that they look at their business as a family business, not a business owned by a sole individual, even if that individual is the only one actually working the business full-time. For example, many spouses who do not work in the business either gave up a full or part-time career to enable the business owner to work the hours required. Spouses in many small businesses are sounding boards and consultants. When a spouse comes home they discuss over dinner or drinks decisions to be made regarding expansion, employee issues, equipment purchases, etc. The unpaid “consulting or sympathetic listening time” for spouses is immense. This does not even account for the family time lost due to the crazy hours worked by entrepreneurs. Children are often called in to assist with a new business in many ways for no pay and/or to have time to spend with the parent/owner. Most business owners feel it is fair for spouses and children to own shares in a family corporation. Although when pushed, in general they feel that the $835,716 small business capital gains exemption should be restricted to spouses only and at most children over 18 years of age. 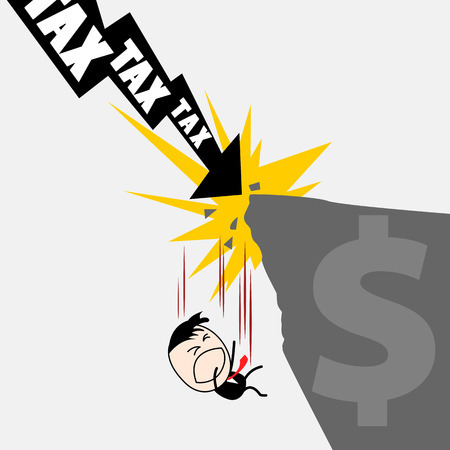 Non-business owners feel that children should have no access to the capital gains exemption. So in summary, I would suggest most business owners and non-business owners feel these proposals are extremely unfair in respect of spouses, but many non-business owners and some business owners feel the restrictions on income splitting with children are reasonable for those at least under the age of majority. As noted in my July 24th blog post, where a corporation earns less than $500,000 the company pays tax at 15% in Ontario and a similar amount in each province. This results in a tax deferral, not a tax saving of up to 38%. Where corporations earn income in excess of $500,000, or in the case of many professional corporations where access to the small business exemption is limited (they must share the $500k exemption with all their partners), the tax rate is 26.5% in Ontario and similar in most provinces, resulting in a tax deferral of 27% or so. The proposals effectively eliminate the tax deferral for all income not re-invested back into the active business. 1. Unlike the income splitting and capital gains stripping rules, in general, these rules only result in a deferral of income tax, not an absolute saving. 2. This deferral has been used extensively by small business owners and professionals to create their own retirement fund. The fact that the government is considering removing the ability to save for retirement within a corporation has many people going apoplectic. The reason for this is essentially twofold. Firstly, business owners are furious the government is not providing any benefit for the risk they take for starting and owning a business and secondly, they look at government employees with gold plated pension plans and ask what right does the government have to prevent them from trying to create their own retirement fund? 3. Any new rules will be unbelievably complex and expensive for the business owners and advisors to administrate, especially given there is only a tax deferral and not an absolute tax savings. How do you track excess income earned between corporate use and passive use when they are often intermingled in some manner? I have found that when you take emotion out of this issue, there is some agreement that the capital gains stripping and income splitting with children proposals were fair. However, the other proposals are considered prejudicial against high income earners, punitive, complex and totally ignore the risk that business owners must accept in starting a business. Finally, I think the Liberals are missing a very important consideration: that being mindset. When you tax people at 53% and restrict the benefits to start a business, you stunt business growth, create more underground transactions, and cause some of your best and brightest to leave the country. This does not even consider the massive spending power you are taking out of the economy by reducing the discretionary income of typically the highest spending Canadians. A couple important updates, one on this topic and one on the work-in-progress transition period announced in the 2017 Federal Budget. In this editorial by the Finance Minister in The Globe and Mail, Mr. Morneau states the following " For those business owners and professionals who have saved and planned for their retirement under the existing rules, I want to be clear: We have no intention of going back in time. Our intent is that changes will apply only on a go-forward basis and neither existing savings, nor investment income from those savings, will be touched". This statement at least clarifies the passive income rules will at worst be go forward rules. In this March, 2017 blog post on the federal budget, I discussed that professionals would no longer be allowed to deduct their work-in-progress ("WIP") from their taxable income and their current WIP deduction would be subject to a two year addback transition period (2018 & 2019) that would result in harsh income tax consequences for many. Late last week the government released draft legislation regarding the 2017 budget proposals and they have changed the transition period for WIP that has to be brought into taxable income to 5 years (20% a year starting in 2018 through 2022) from the initial two year proposal. I don't buy the "spouse sacrifice" argument. Spouses of salaried employees make the same sacrifices to look after the family, or change their job schedule, etc. Salaried employees can still put in many extra hours to achieve targets and bonuses. Fair point, but I would bet you the average hours put in by an entrepreneur especially the first 5-10 years is 1.5-2 times that of the average employee, but that is just anecdotal, I don't have a study to prove that. As a business owner, what extra hours can I put in to achieve targets and bonuses? Oh that's right I can't. 18+ Child owns HoldingCo which has 25% stake in OpsCo & dividend is paid (tax free) from OpsCo to HoldingCo. Child now has asset that's increases 25% of OpsCo business (each year). Since the HoldingCo isn't an individual, TOSI (new or old) rules don't apply. Since this is so obvious, can someone point me to the rule that prevents it? Thanks Mark for the excellent blog for for covering this important issue. In response to Unknown's concern, I can say with certainty that I have done a lot of work to help our family business succeed, including creating/managing the website, doing marketing, preparing and sending out invoicing, chasing accounts receivable, processing expenses, doing annual taxes, quarterly GST returns, payroll, and even taking some of the work off my husband's plate if he had too much to complete (we have the same credentials). I have purposely not taken a salary to avoid the scrutiny of the CRA, plus since the business is legally half mine (via shares), I knew I'd eventually get dividends (we haven't taken any yet). Now I'm wondering if I have handled this wrong as I have no idea how I am to prove, after I'm retired, just how much unpaid work I did in this business. Yet it sounds like this is what the government is trying to stop? Very concerning. Another thought on the update: Can you imagine how hard it will be to track what passive income was earned on "legacy" vs. "new" retained earnings? More accounts to setup and track I guess. Thanks again Mark! Do you have any thoughts on small business owners vs. professionals (mainly medical) using corps to split income? I know that there are many medical professionals that are essentially a salaried employee of their Health Regions, but get to use their corps as a way to solely split incomes with their lower income spouse. Many of these medical professionals get paid Fee For Service, but many are paid salaries as employees of health regions, get commissions based on sales of glasses (for Optometrists) etc. Thanks for the detailed blog post and the opportunity to hear other points of view! I generally support the proposals. However, as a former business owner, I am worried about the increased administrative burden for some of the proposals, especially around passive income and converting income to capital gains. I suspect a good chunk of small businesses will end up foregoing tax benefits to which they would be entitled due to this overhead. If the passive investment changes were retroactive, I would be outraged. Regardless of how I feel about the fairness or unfairness of the underlying policy, I do think the government has an obligation to provide a smooth transition to those who have structured their businesses in accordance with the law as it stood at the time, so I'm happy to see that the tentative guidance there is positive. The LCGE for uninvolved family members (all of them, IMO; but especially minor children) is absurd - I'll be happy to see it gone. As the child of a self-employed professional, I empathize with the argument that small business owners pour their heart--and in many cases, their health--into their businesses. I saw this growing up, and acknowledge there are corresponding impacts on the rest of their family members. Still, for me, the benefit of risk is compensation, not compensation boosted by government tax incentives. I, too, disagree with gold-plated government pensions, but the principled response isn't to demand an exemption carved out for yourself. My accountant was much more blunt than you are. He said that people hate those who are rich and successful because they do not see the hard work behind the success. What troubles me is this mindset of ''us vs them'' and the atmosphere of hate that the liberals are creating and which is completely unnecessary. "they look at government employees with gold plated pension plans and ask what right does the government have to prevent them from trying to create their own retirement fund? " Great Blog. I have one point concerning your post on converting income into taxable capital gains. Under the proposed rules the sale of shares to a family member will be taxed at a significantly higher rate( dividends vs capital gains) than if the owner sold the shares to an arms length party. This is unfair in my opinion and could lead to a significant number of family business be transitioned outside of the family. The government stated in their July 18 document"that legimate family transitions" will not be effected by the proposed rule changes. However the proposed legislation as written doesn't carve out "legimate transitions". Additionally s84.1 has typically been applied technically by CRA and the courts and does not have "a purpose test". To me their doesn't appear to be a carve out as of yet. Overall it doesn't make sense that the government would charge families more tax for an intergenerational transition versus a sale to an arms length party. Toughts? I agree with you. When i say converting dividends to capital gains, I am talking about capital gains strips which are a pure tax transactions some people have been using. I agree 100% with you regarding families and I think this is one area the Liberals will try and fix things, as they are getting a lot of pressure on this issue and you should be able to transition at the same or less cost to a family member than a stranger. The passive income changes in the document seem to be of the mindset that every small business is simply a tax avoidance scheme. I don't support any of these changes aside from multiplication of capital gains, and there are some significant issues to be addressed with respect to family sale of business and reasonableness testing, but that passive income piece... can they really be so incompetent as to rush something like that forward? I've got my fingers crossed that the drop this altogether, but each update from Morneau/Trudeau seems less likely to be the case. My guess is these passive income proposals will be withdrawn to show the Liberal's "largeness" but really because they are way to complex and convoluted to write legislation for the CRA to administer. I see this as the sacrificial lamb of the Liberal legislation. Could be wrong, but my feeling. Do you see a way for a professional corporation CCPC to be changed into a regular corporation? You get taxed at the general rate which is still best than what liberal proposes. I wish you are right on the passive income but doubt it. I think liberals will go ahead with it, since they are leading in the polls. They might also raise the capital/dividend inclusion in the pursuit of "fairness"
It's too bad their folly and subsequent disaster will only be apparent after the next 10 years. Speak to your accountant about your situation, but in general your corporation type will not need to be changed, it will just be taxed differently. "A finance minister already disillusioned by politics, according to people close to him, has been wounded by the affair. In particular, he appears agitated at suggestions that he engineered the changes so that his pensions consulting firm, Morneau Shepell, could benefit from increased sales of individual pension plans, as business owners shift their retirement savings from private corporations." I had a reporter try and ask me that question also. While I do not like Mr. Morneau's policy changes, I think it is ludicrous to suggest he made the changes to benefit his firm. Thank you for an excellent summary. Would opening a new "post 2018" investment account help keep separate and distinct the old and the "new" passive income? How do you think the old passive income will be taxed assuming for instance the old passive income exceeds 50 000 $ / year ? Your suggestion would make sense, but since we have no idea of the rules, I would just hold that thought until the Liberals release the legislation. Supposedly, old passive income will be taxed as currently, but again, lets see what the legislation says.